This list is a represtentation of typical products we offer during the season. 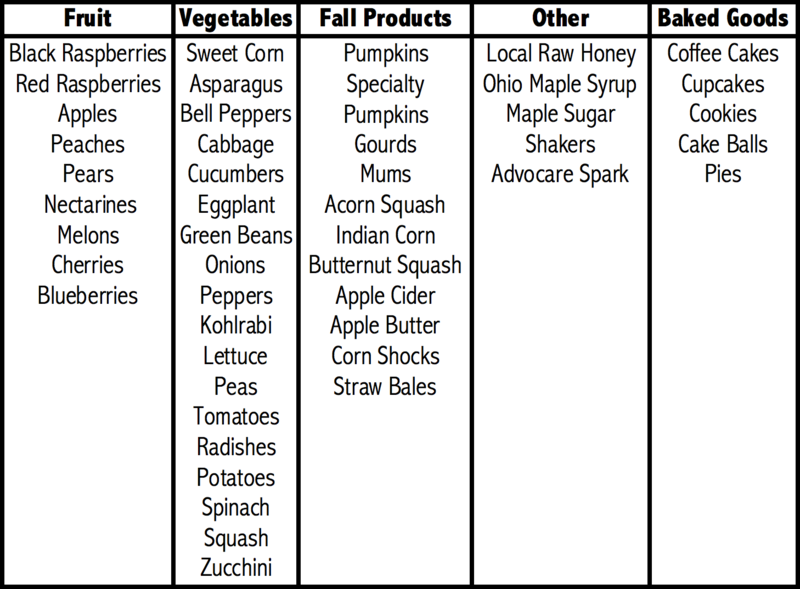 All products are subject to change based on weather and availability throughout the year. For current updates on available products, check out our Facebook page! A local, family-owned farm in Sidney, Ohio selling fresh fruits and vegetables picked daily.